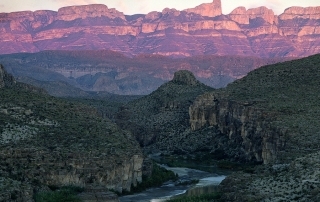 The Chisos Mountains are the heart of Big Bend National Park. 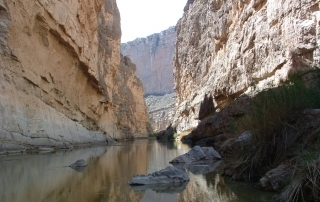 They extend twenty miles from Punta de la Sierra in the southwest to Panther Junction in the northeast. 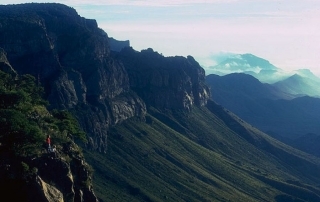 It is the only mountain range totally contained within a single national park. Among the highest peaks in the range are Emory Peak (7,835 feet above sea level), Lost Mine Peak (7,535 feet), Toll Mountain (7,415 feet), and Casa Grande Peak (7,325 feet). 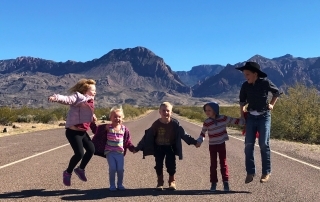 A 7-mile long paved road climbs into the Chisos Mountains Basin, a circular valley ringed by craggy peaks. 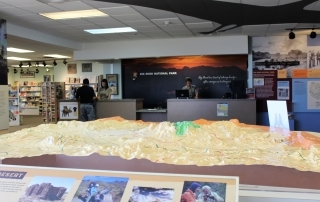 In the Basin there is a developed National Park Service Campground and Park ranger station where interpretive information, maps, and backcountry permits are available. 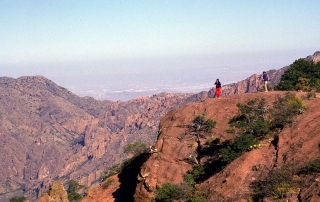 Chisos Mountains Lodge operates the only hotel in the park and a dining room with the grandest view of any in Texas. Most rooms are standard hotel style, but a few rustic stone cabins are available and in demand. 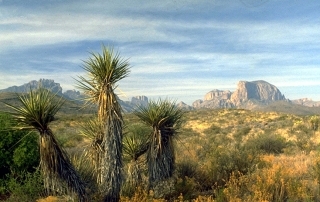 The Chisos Mountains support vegetation that includes Douglas fir, Aspen, Arizona cypress, Maple, Ponderosa pine, and Madrone. 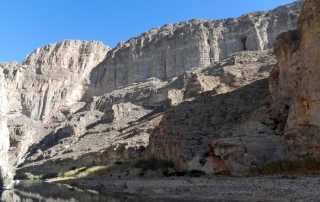 Daytime highs in the summer rarely exceed 90 in the Basin,and there is plenty of shade. 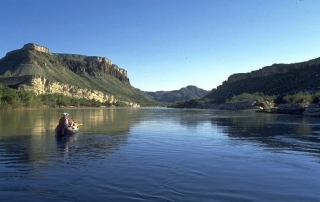 The Basin is hub for an extensive network of hiking trails that range fromhalf mile strolls, to round trips 5 to 14 miles in length. 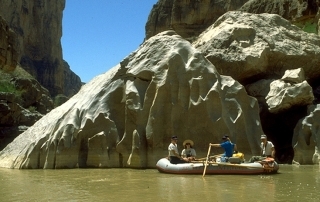 Day hikers require no permits, but backpackers must obtain a permit and reserve a backcountry campsite in the Chisos. 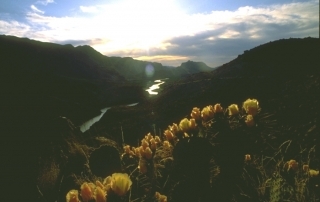 Longer wilderness trips may start in the Basin and connect with trails that extend into the rest of the Park.